While the PS4’s DualShock 4 has been compatible with the PS3 since launch, it only worked using the USB cable. However, a Reddit has discovered that a recent update now allows the controller to be used wirelessly, though not all functionality is available. You can pair the DualShock 4 as a generic bluetooth input device, which means the PS button, vibration and sixaxis detection do not work. Connect DS4 with USB cable to PS3 then turn on. While scanning, unplug the DualShock 4 from the PS3, and hold the PS & Share buttons on the DS4 until the light-bar starts flashing. 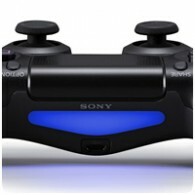 While the light-bar is flashing, plug the USB cable back into the DualShock 4 and select [Wireless Controller] on the screen.